Searching for don't judge me quotes and sayings i.e. quotes which express your feeling to stop people judging you. If yes, now you don't need to search for them anymore. As here I have compiled down some of the best don't judge me quotes and sayings. Just hope you will like the quote compilation and able to express your emotions. Don't judge me unitl you know me, don't underestimate me until yhou challenge me and don't talk about me until you've talked to me. Don't judge the way I am, until you know my story. Don't judge the past by the standards of today. It won't work. They're incompatible. Judge not, before you judge yourself. 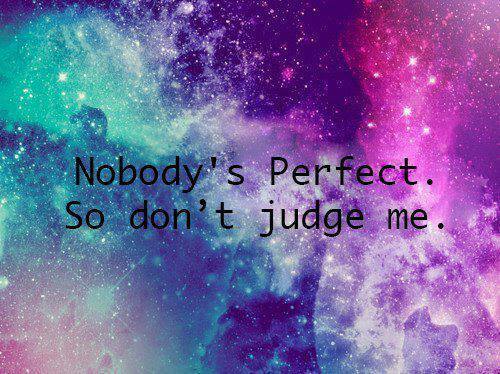 Judge not, if you're not ready for judgement. Don't judge me, You can't handle half what I've dealth with... there is a reason, I do what I do... there is a reason, I am who I am. You think I'm nothing, only because I'm nothing like you. You think you know me, but you have no idea what I've been through. We can never judge the lives of others, because each person knows only their own pain and renunciation. Every day people judge all other people. The question is whether they judge wisely.